Peace and quiet on the water. 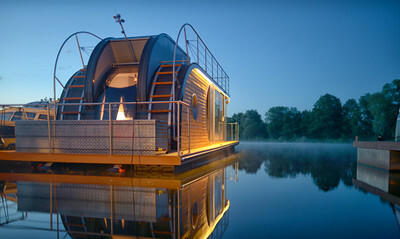 And adventure comes quite by itself. With our houseboats you can not only experience Europe’s water worlds in your own home, you can also undertake exciting city tours. 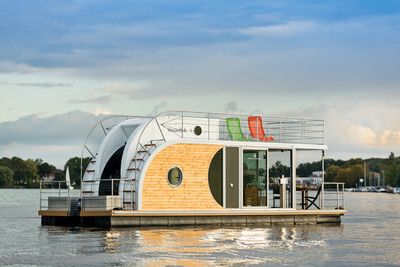 Nautilus houseboats has specialised itself on the design and construction of innovative design houseboats. 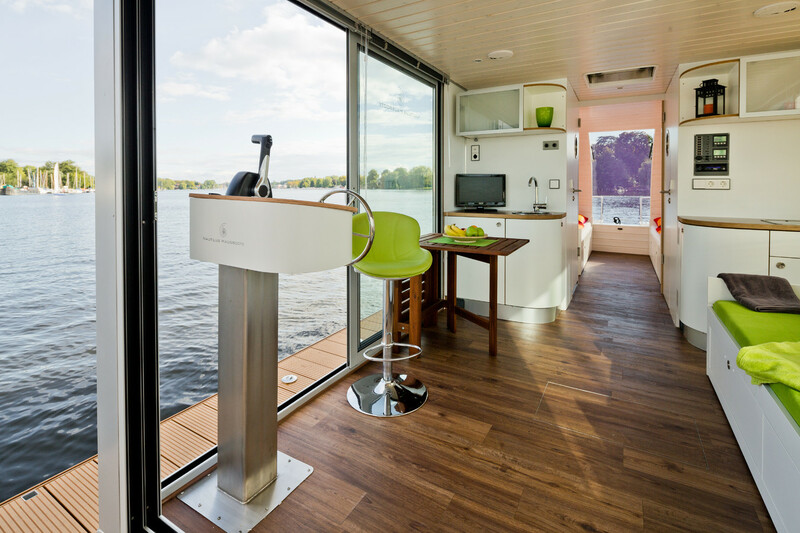 As a young innovative company we are realising a modern lifestyle for our customers. 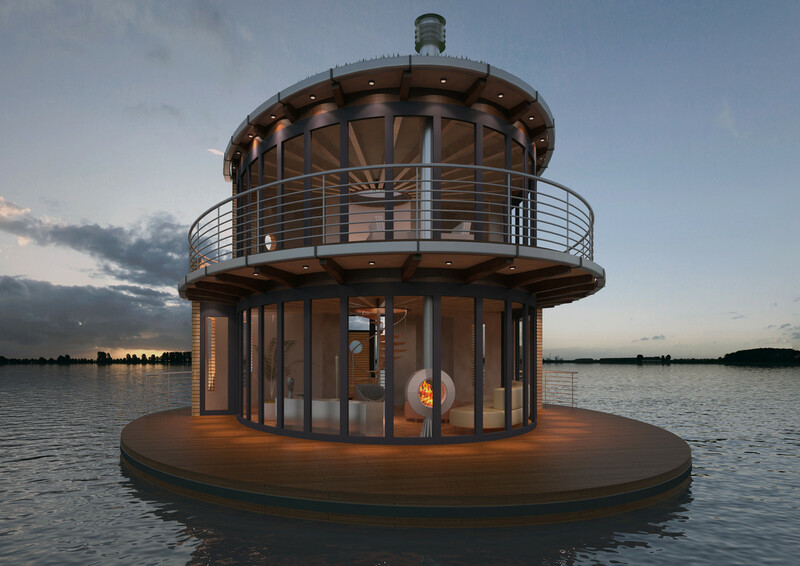 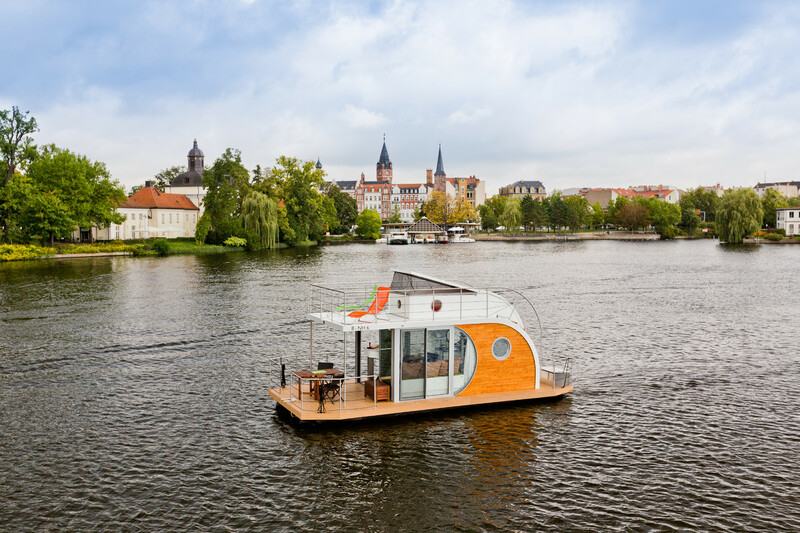 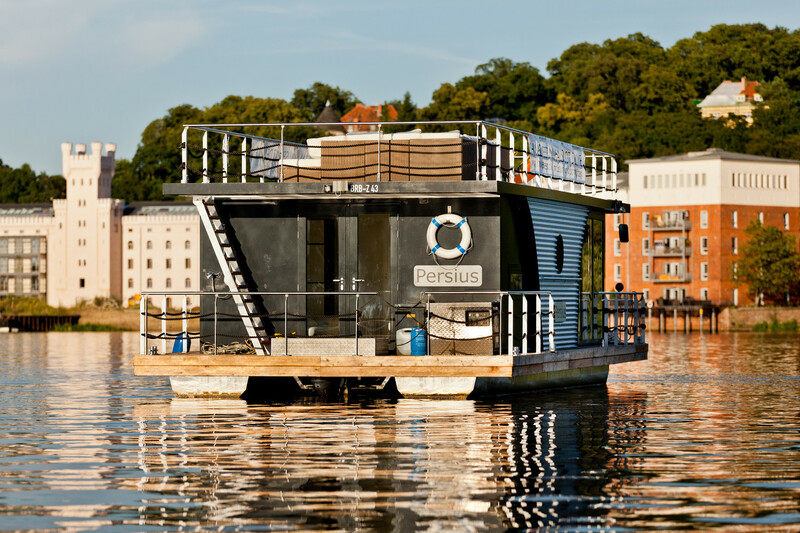 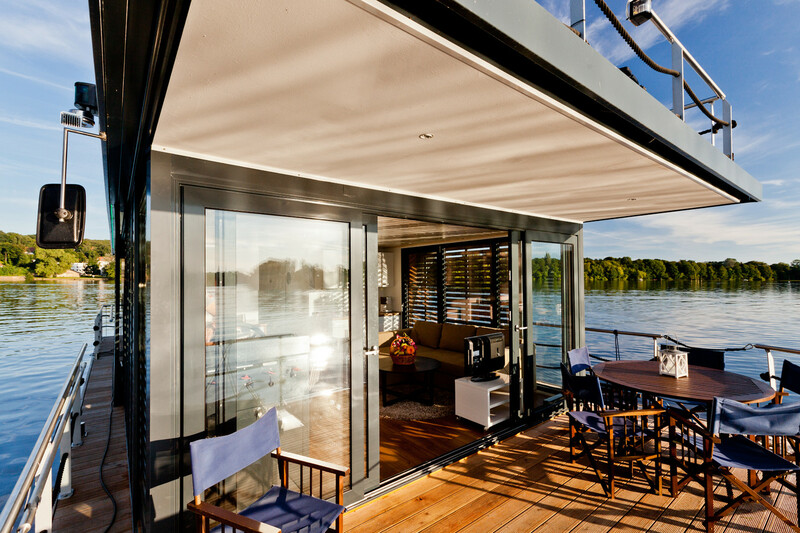 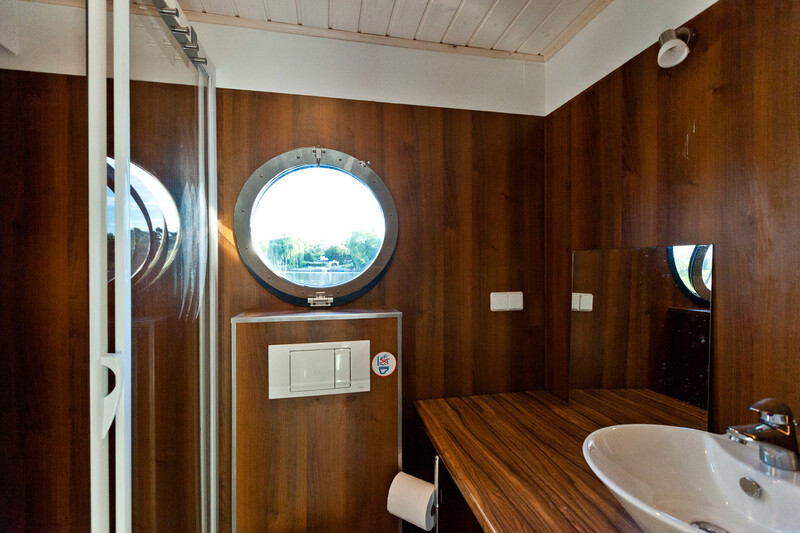 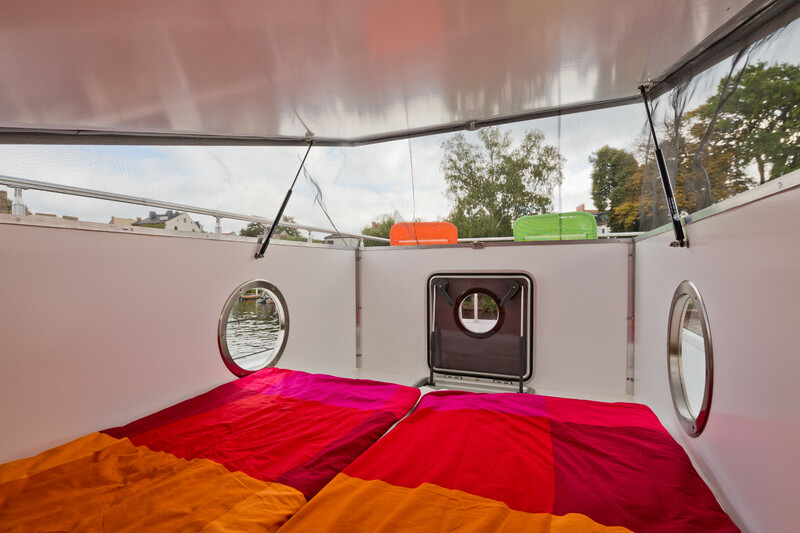 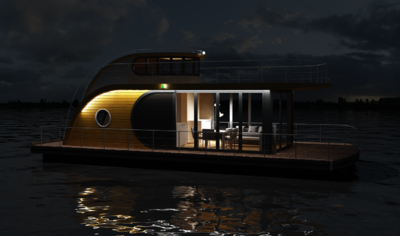 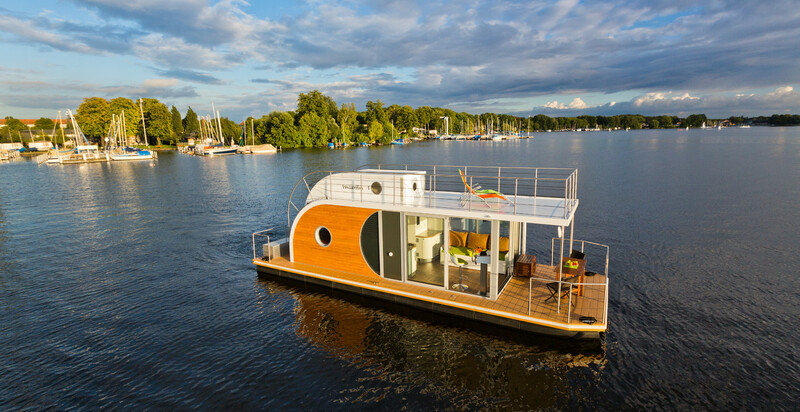 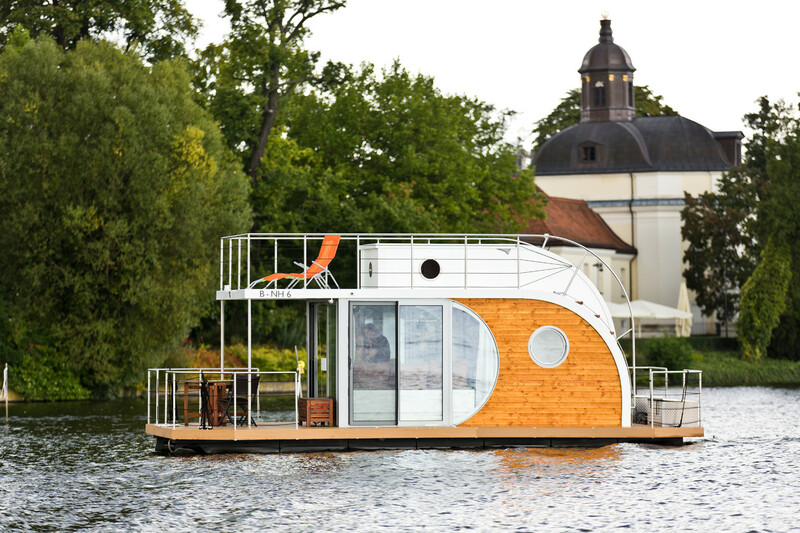 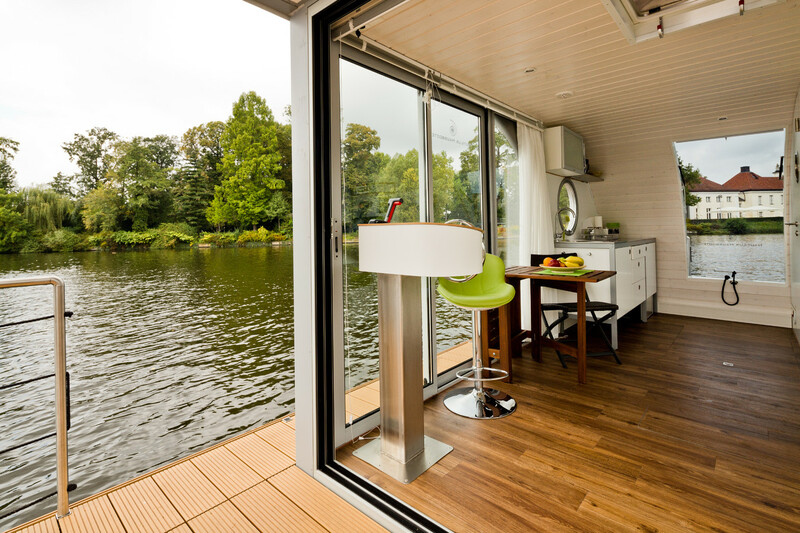 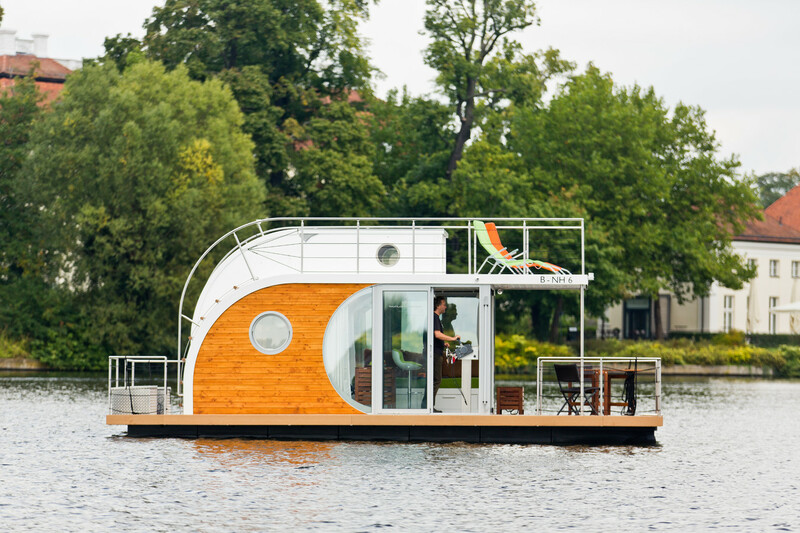 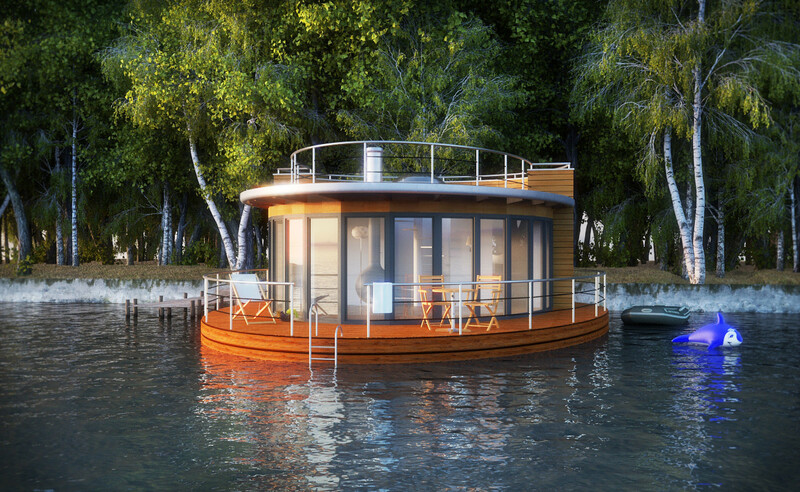 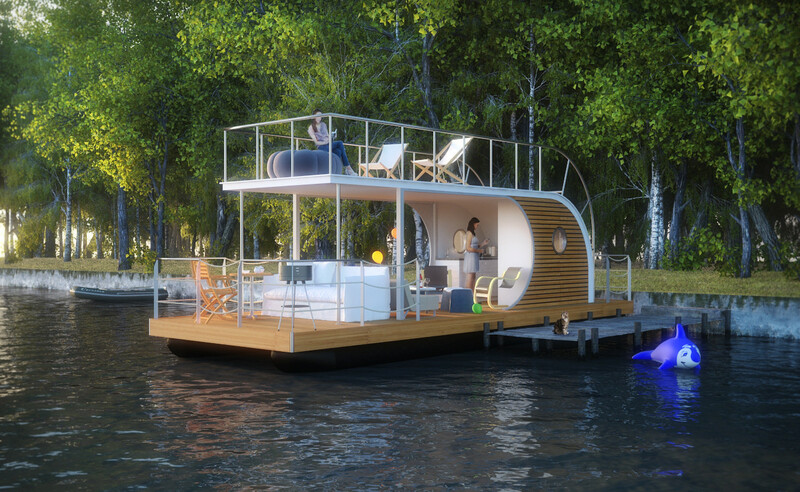 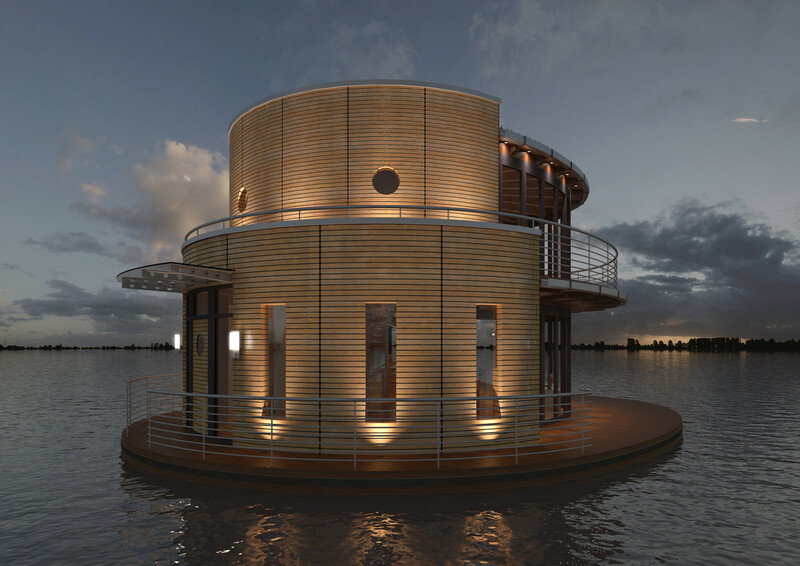 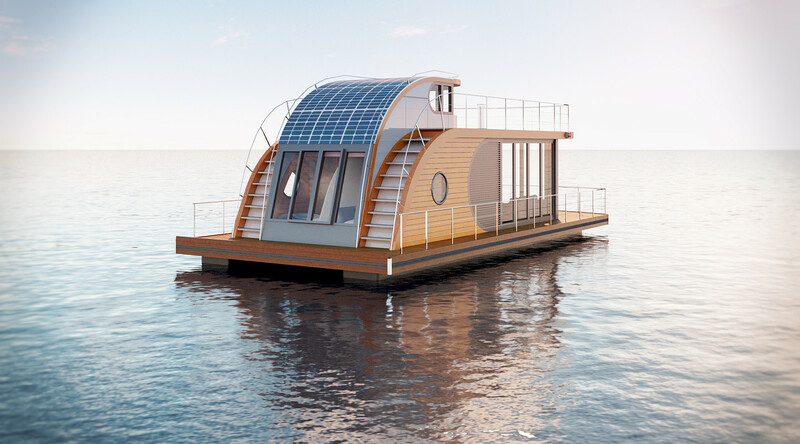 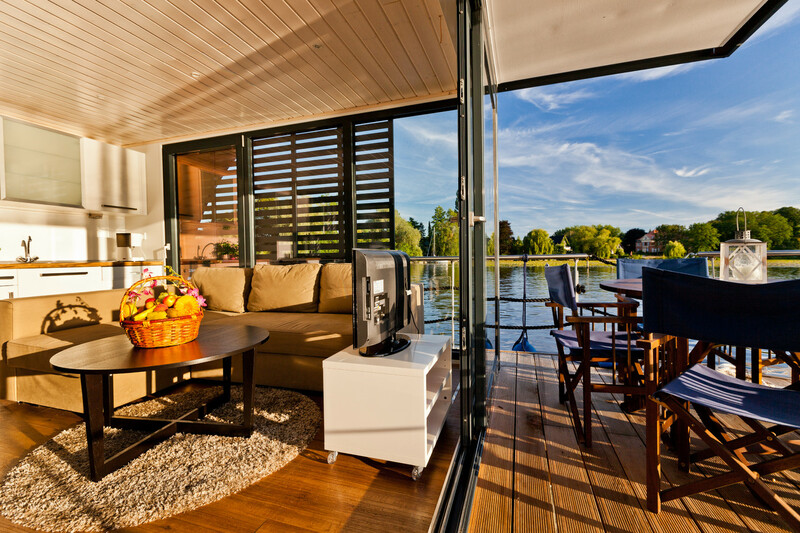 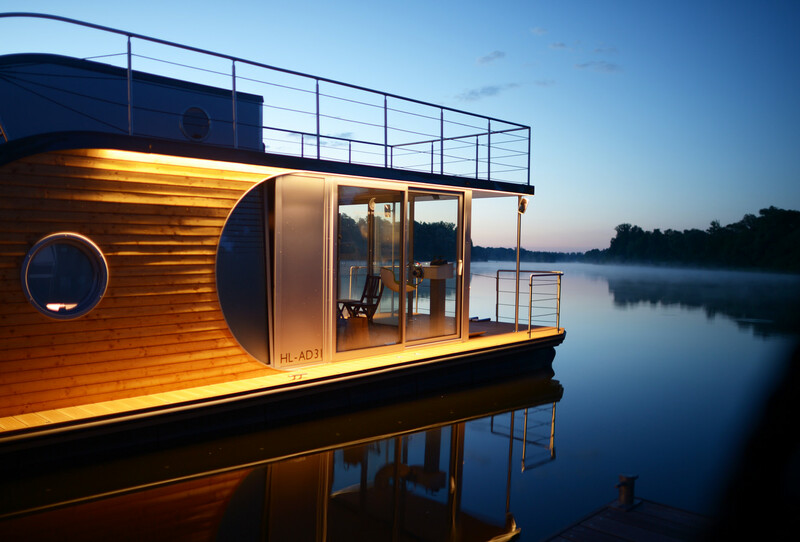 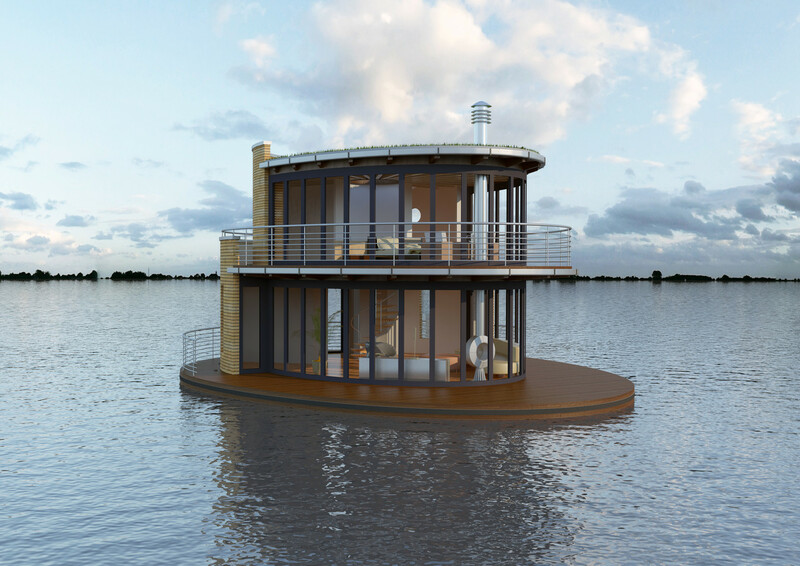 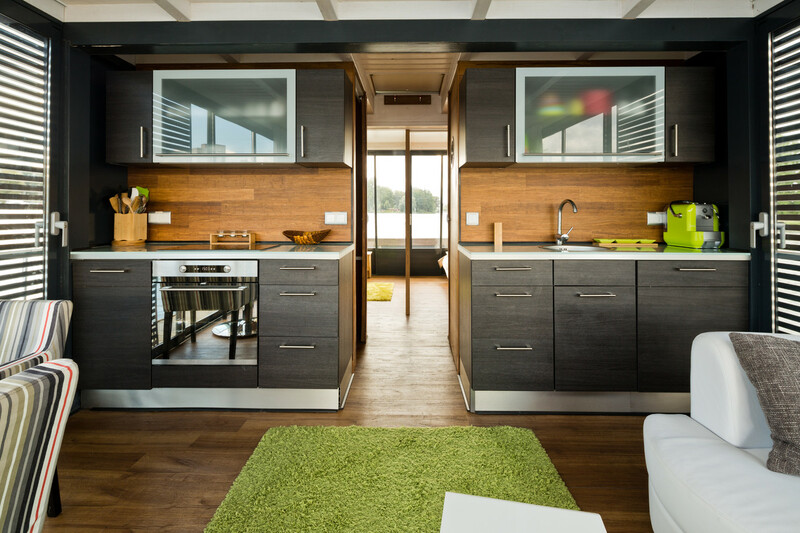 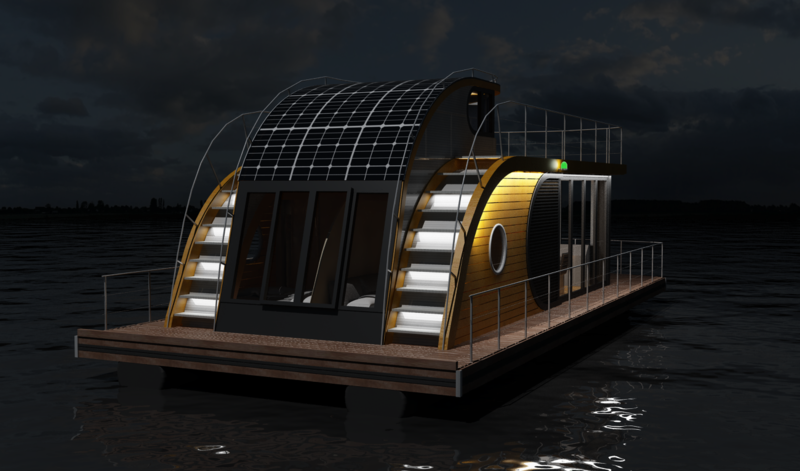 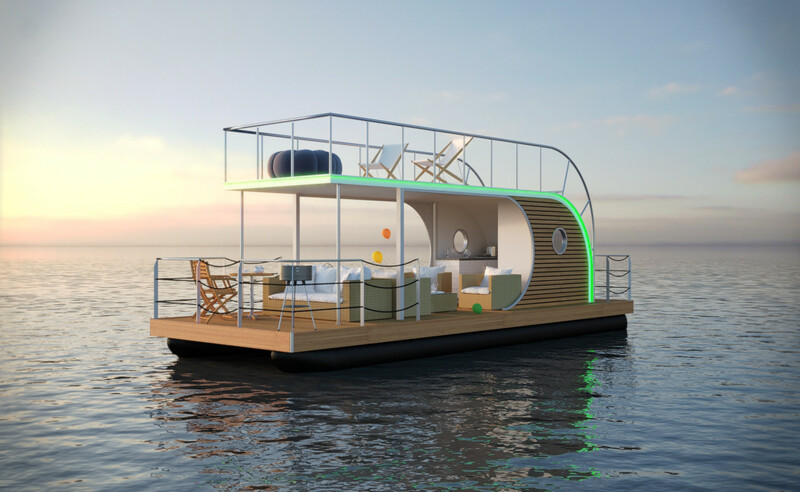 With a houseboat from the latest generation you can experience the world and still have your home with you. 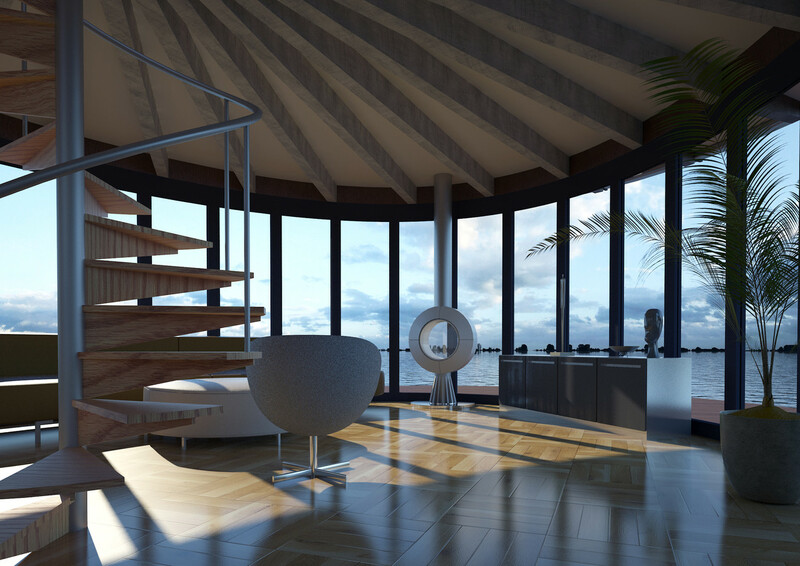 With the same comfort as in your dream home onshore. 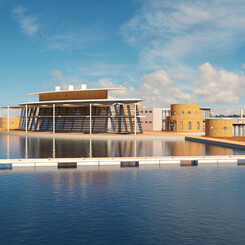 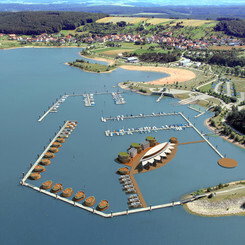 Owner and managing director Andreas Hoffmann personally puts the architectural planning of the boat types into practice. 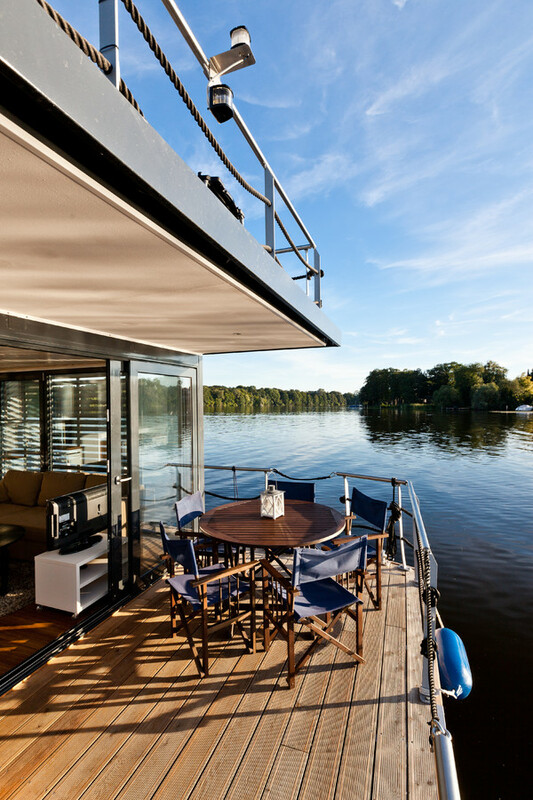 At the Berlin trade fair Boat & Fun 2012 in Berlin he was awarded the innovation prize for timeless design and the environmentally friendly supply media. 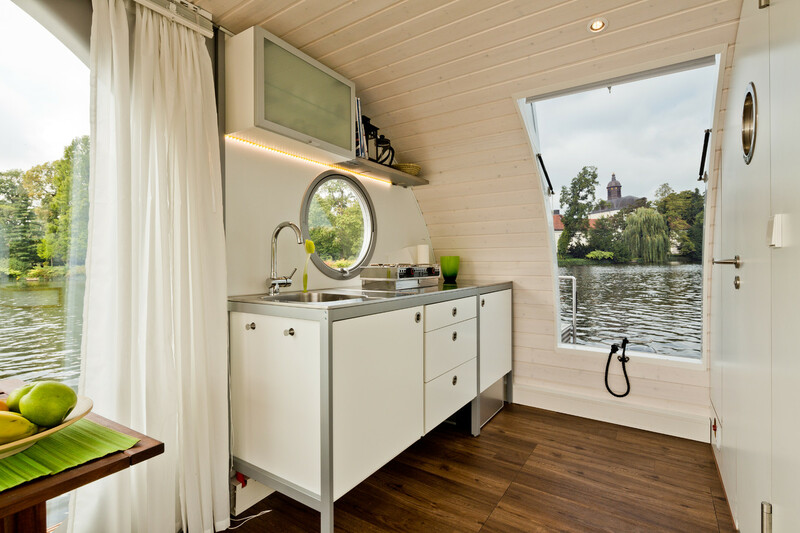 Due to the various equipment options and the layout variants you have the possibility of having a boat built according to your wishes and price expectations. 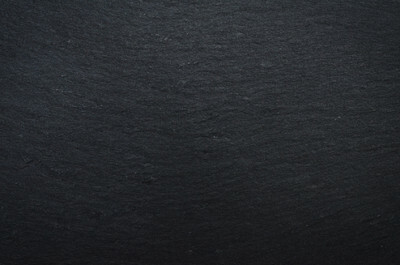 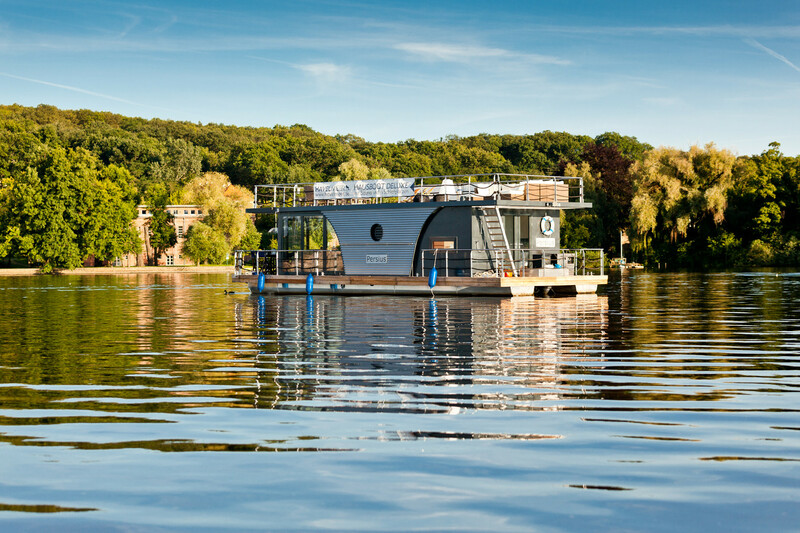 We maintain production facilities in the Berlin region and employ well qualified specialists. 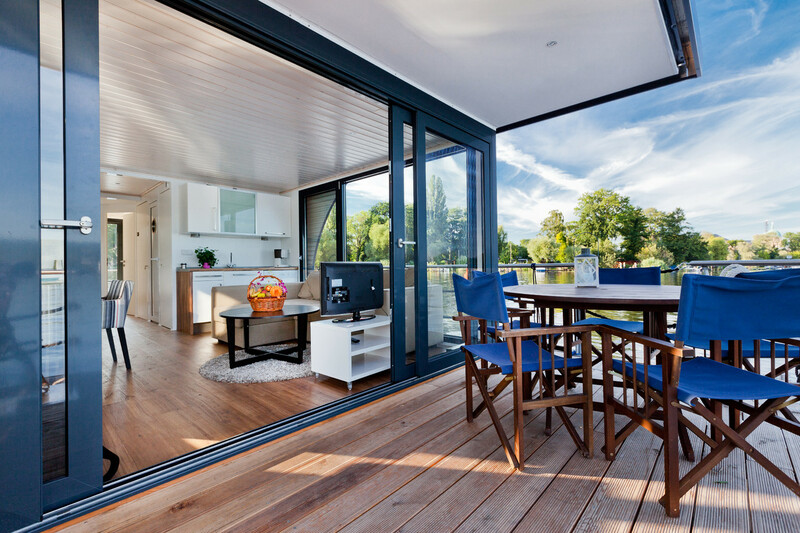 Our owner-managed company takes care of everything; from the planning and production to the registration and the turnkey handover. 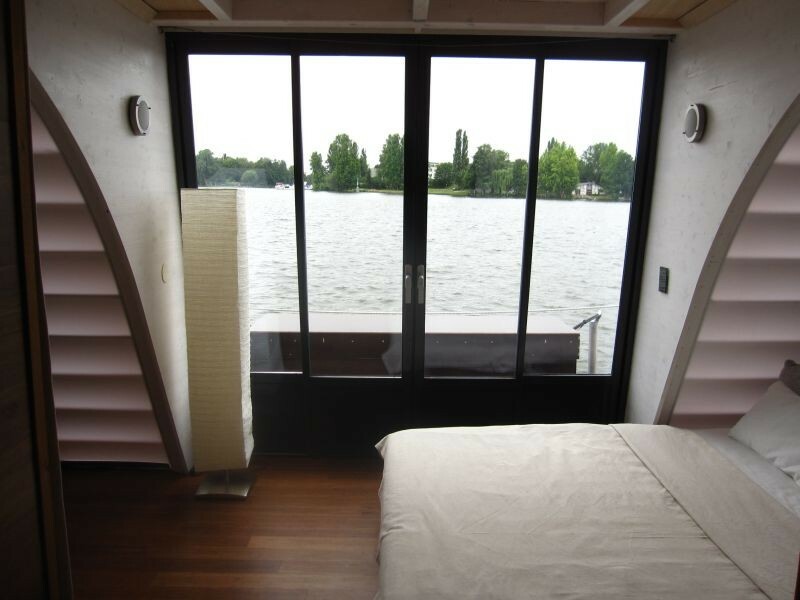 Thereby we install our own and finished components. 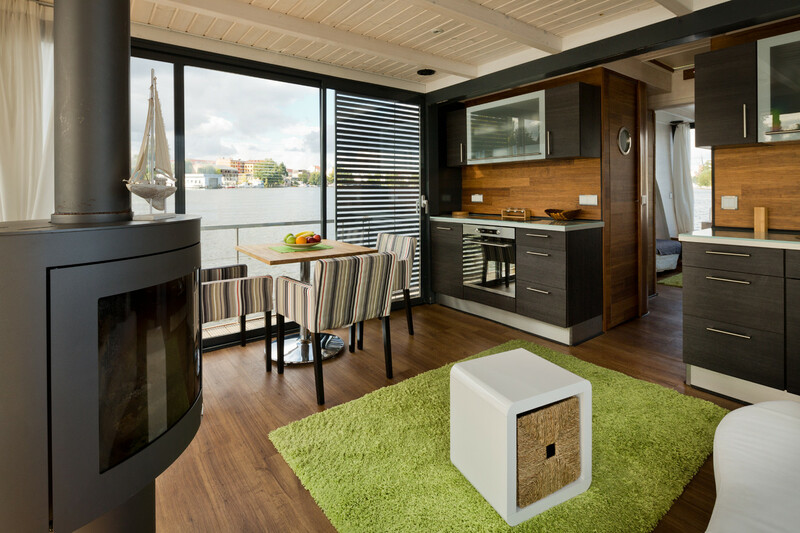 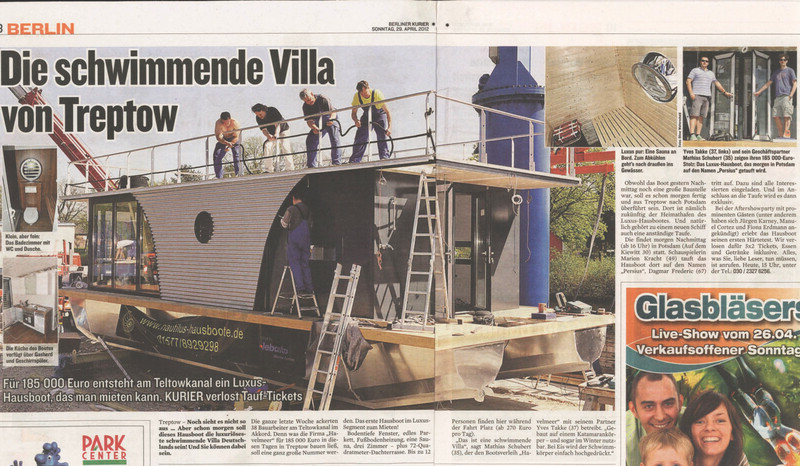 Since the company was established in 2010 we have already realised more than 30 houseboats for satisfied all over Germany. 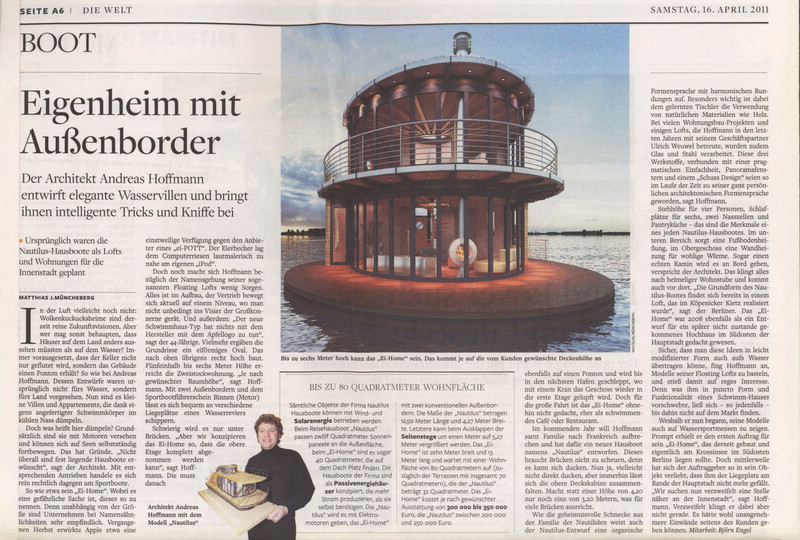 We are planning to expand to other Germanspeaking countries and to Scandinavia. 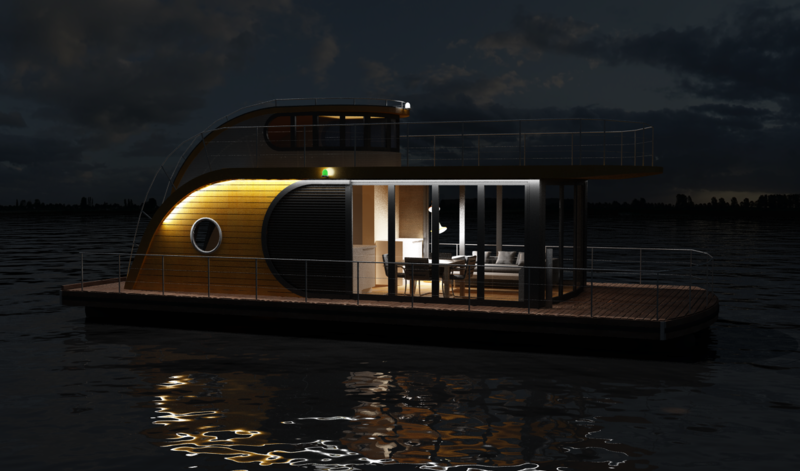 The Nautino, as a mini-version of the Nautilus, unites a motor yacht with benefits of a houseboat in a very special way. 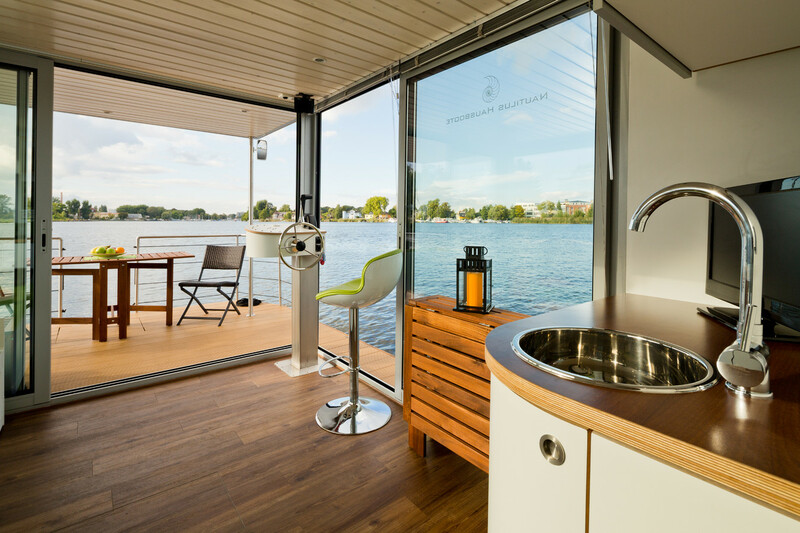 The premium equipment makes your Nautino to a boat of the extra class. 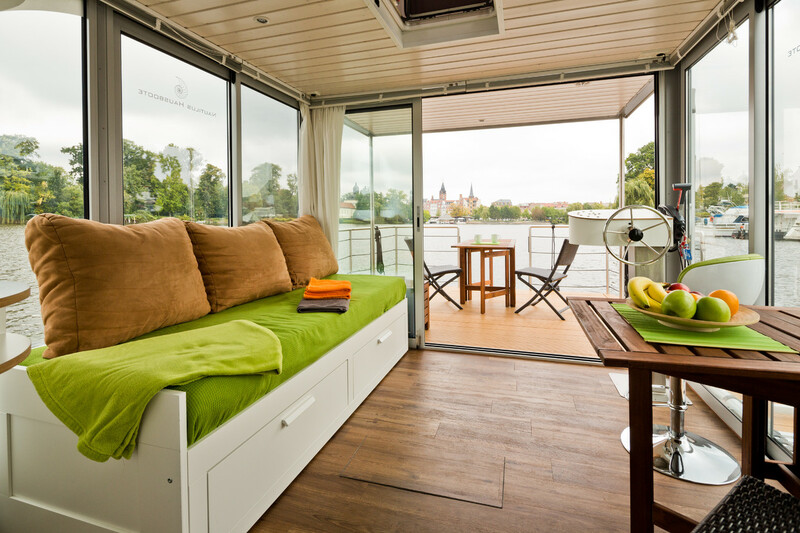 In the versions mini (16m²) and maxi (21.5m²), with up to 7 berths, this boat is not only suitable for couples but also for families. 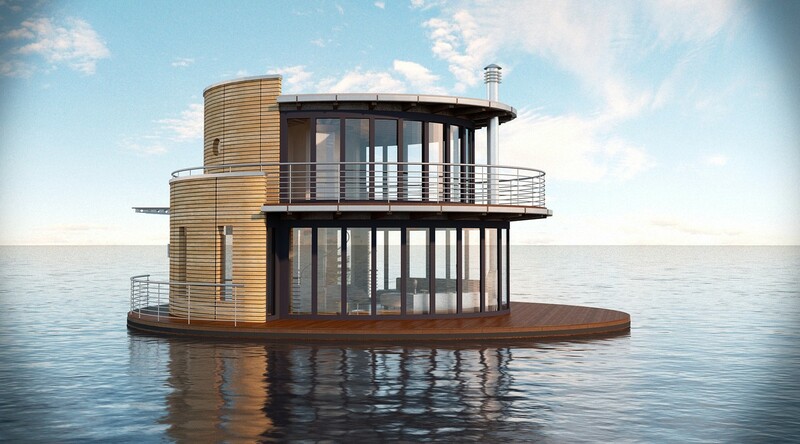 It also functions perfectly as a lake home or an onshore weekend home. 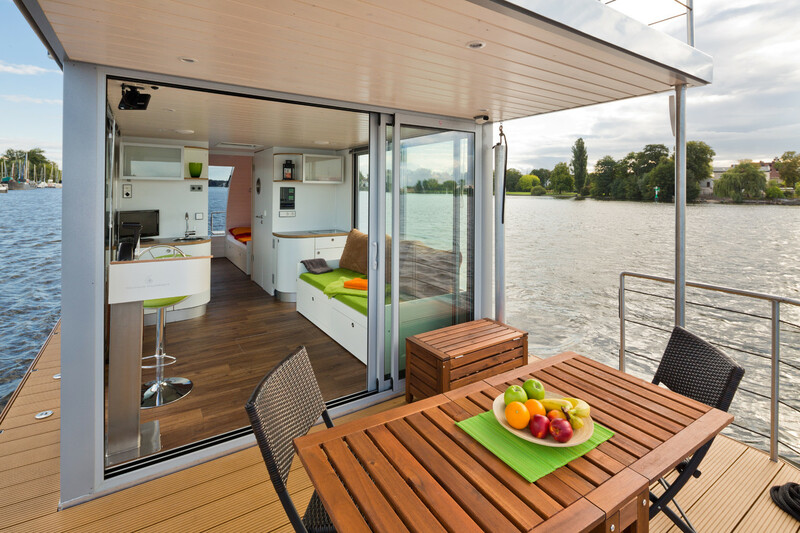 Our Nautino Premium maxi is the special boat for larger families and friends. 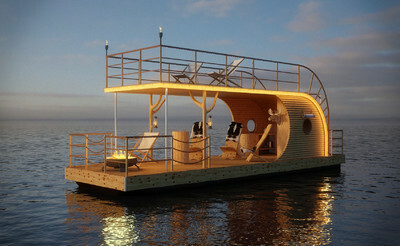 It offers room for up to 6 persons, boating pleasure and is highly comfortable. 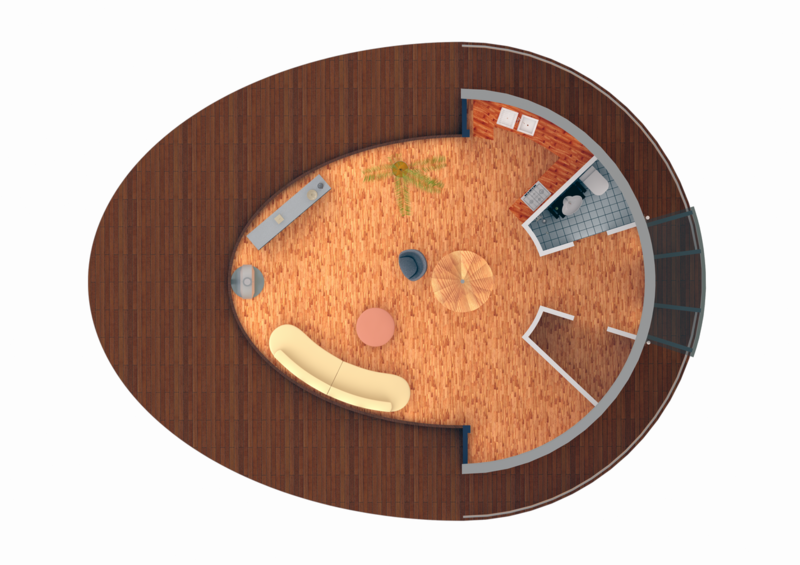 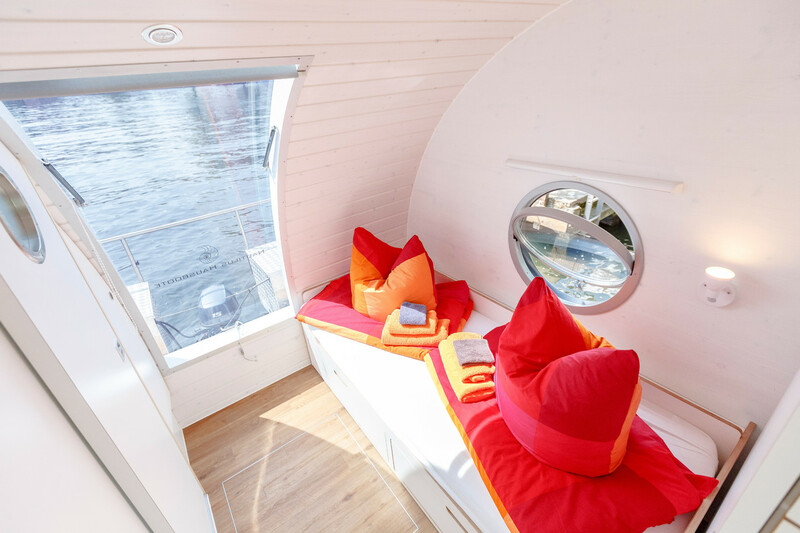 2 berths are in the roof cabin, 2 single berths (can be extended to a bed for 3 persons) in the stern cabin and 2 further berths on the couch in the living area. 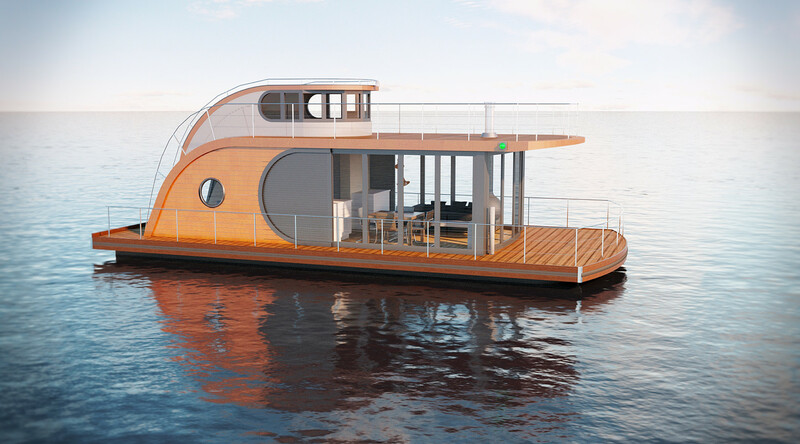 With the Nautilus and its exclusive design you are the eye-catcher on all waters. 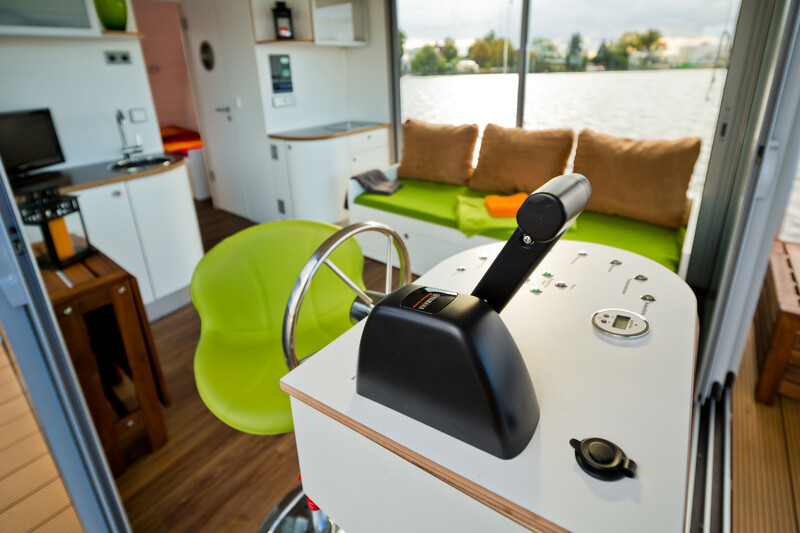 Registered as a recreational craft you can, thanks to innovative technologies, you can navigate almost every waterway in Europe. 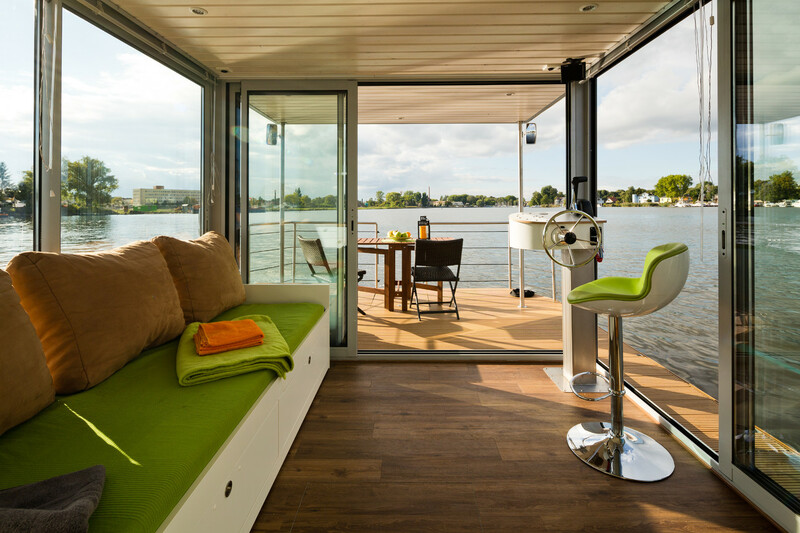 The highlight are the foldable gangways, a convertible roof system and the foldable cabin (all optional), that enable you to pass through narrow locks and low bridges. 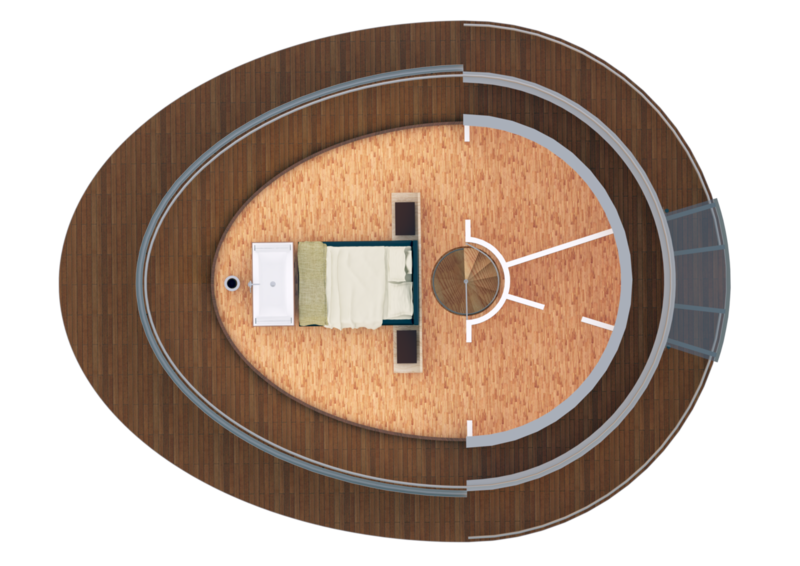 Depending on the layout the Nautilus type, in the basic version with ca. 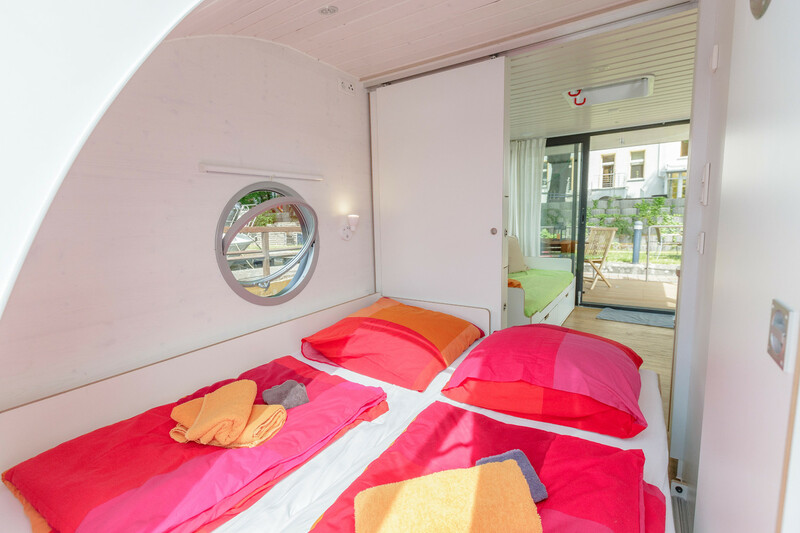 42 m², offers room for 6-8 adults and 2 children. 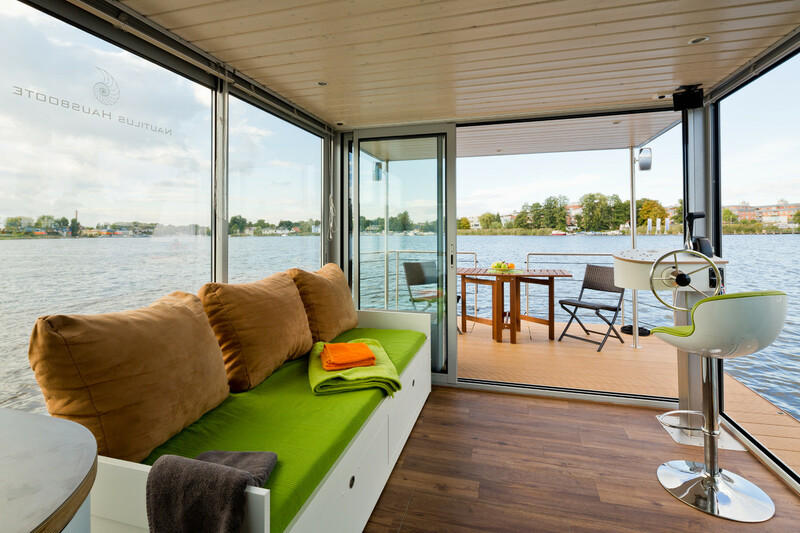 The living area can be extended up to 86 m². 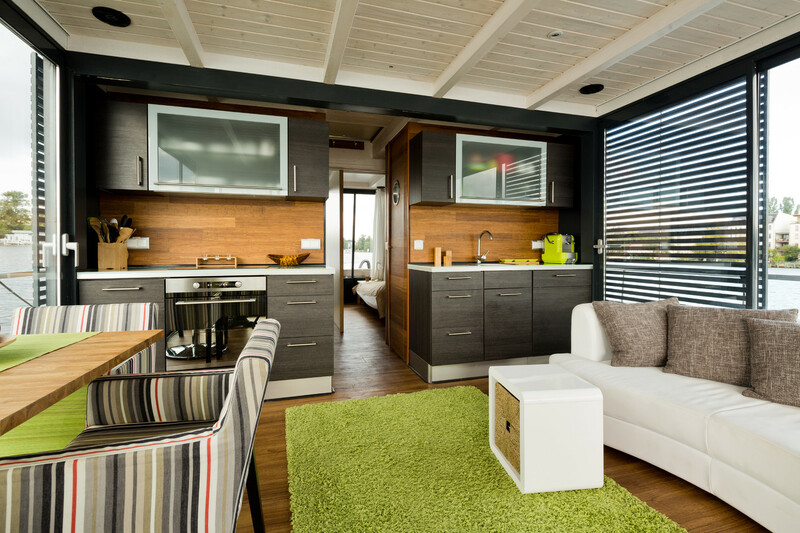 As a holiday home, our Ei-Home offers, on one floor with 45m² living area, room for all conveniences for an unforgettable holiday. 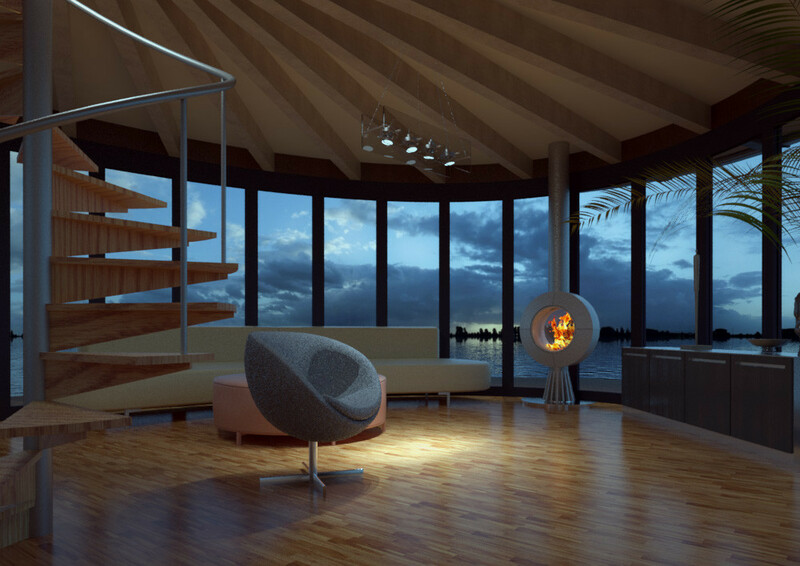 The large picture window offers an unrestricted view while one can relax in front of the open fire or in the sauna. 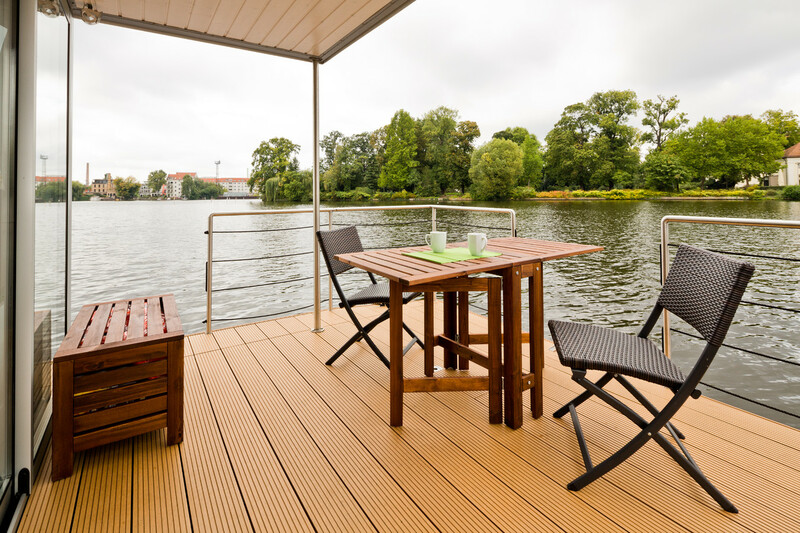 A 50m² roof area is available as a sundeck or for solar panels. 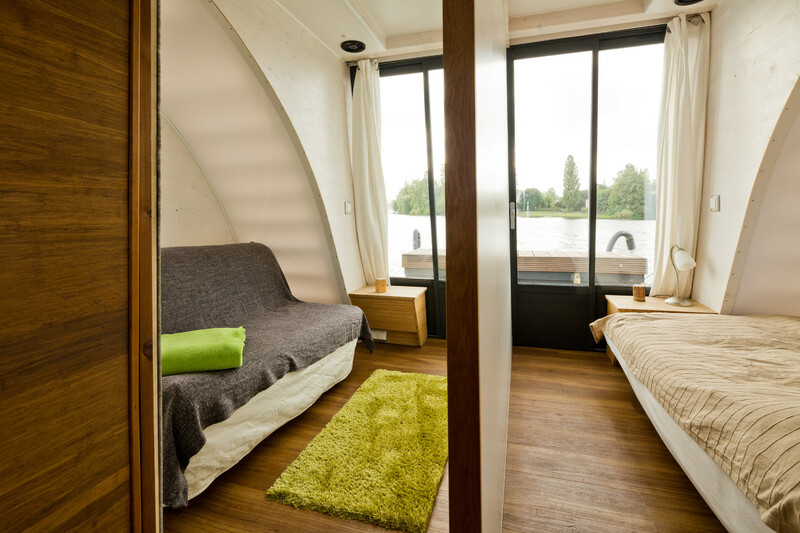 Our little Ei-Home is naturally suitable for residential use. 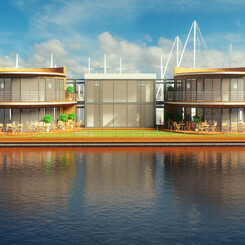 Layout and equipment can be specified. 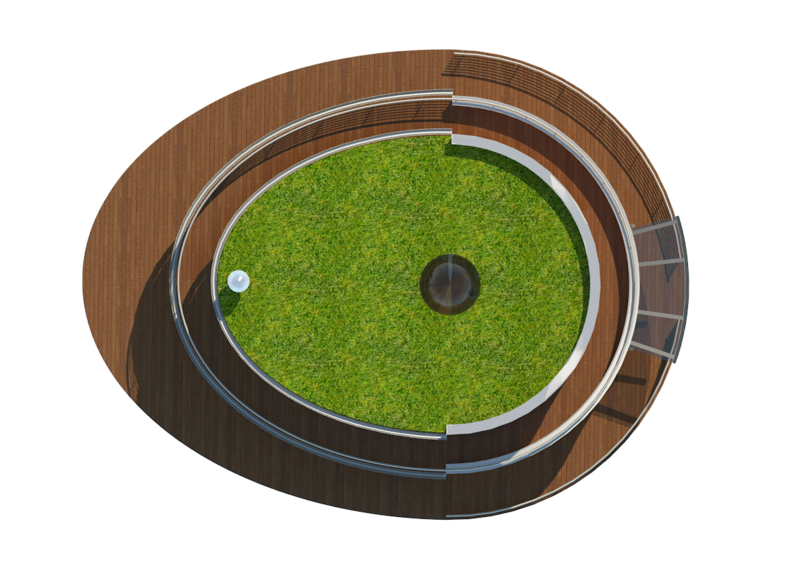 Discuss your plans and ideas with us! 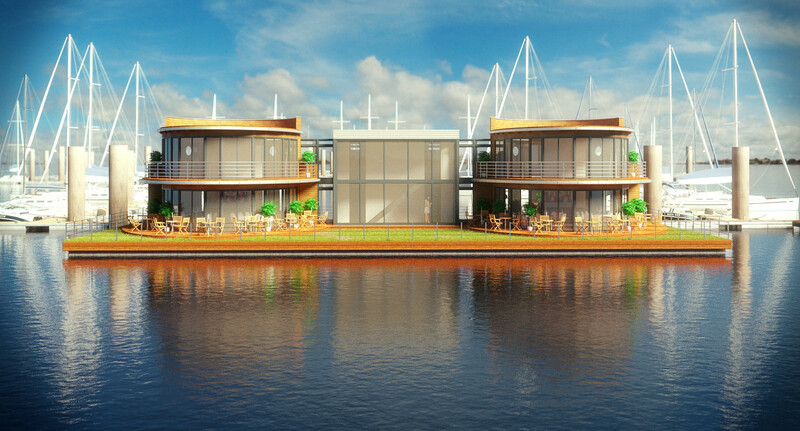 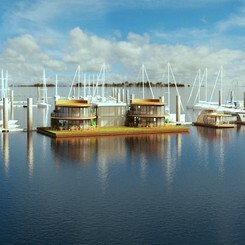 We develop your waters edge from the shore area up to a finished marina with floating homes. 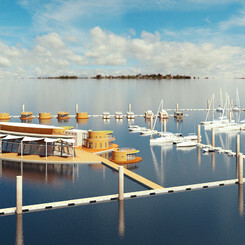 From a competent source, in cooperation with our partner planning office mediamare consulting we can develop your waters edge to a “maritime mile” if you wish it. 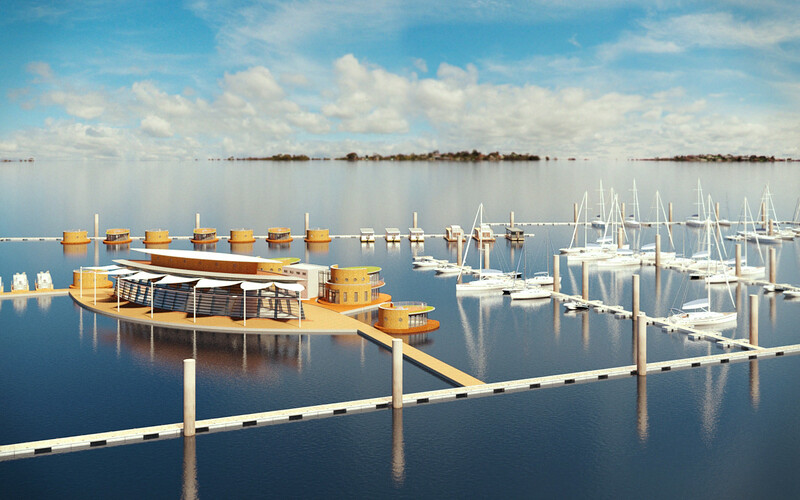 We plan harbours and marinas, compile feasibility studies for maritime locations and develop operating models. 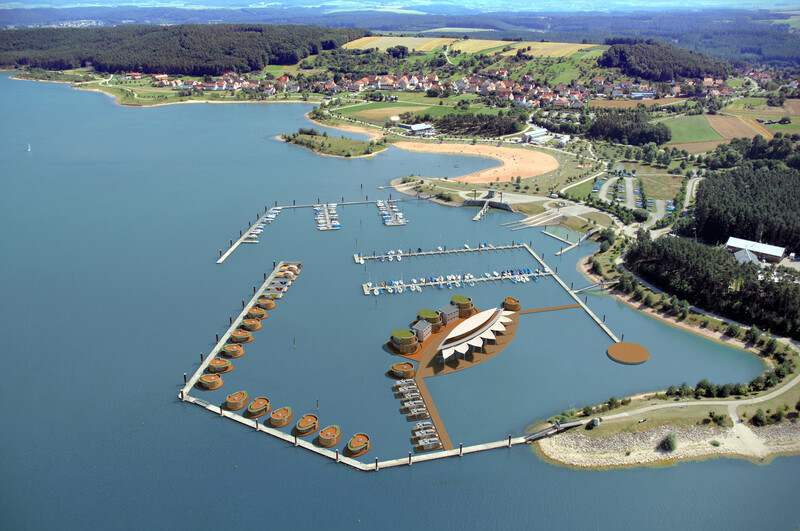 We check location specific factors for their economical, ecological and social relevance, analyse development structures and visualise town-planning drafts for further planning. 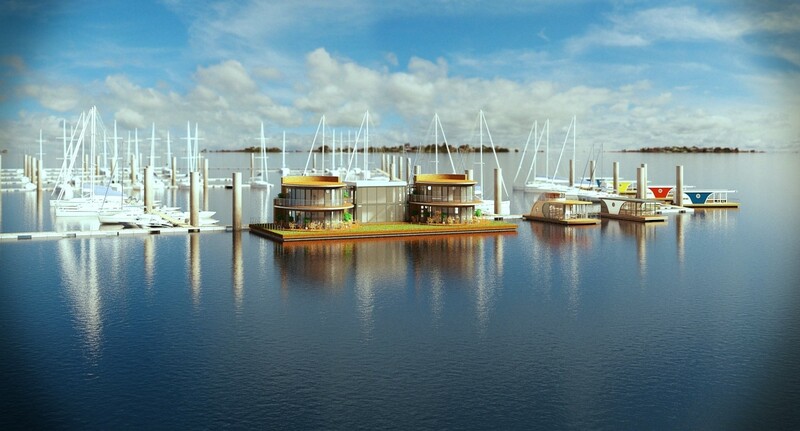 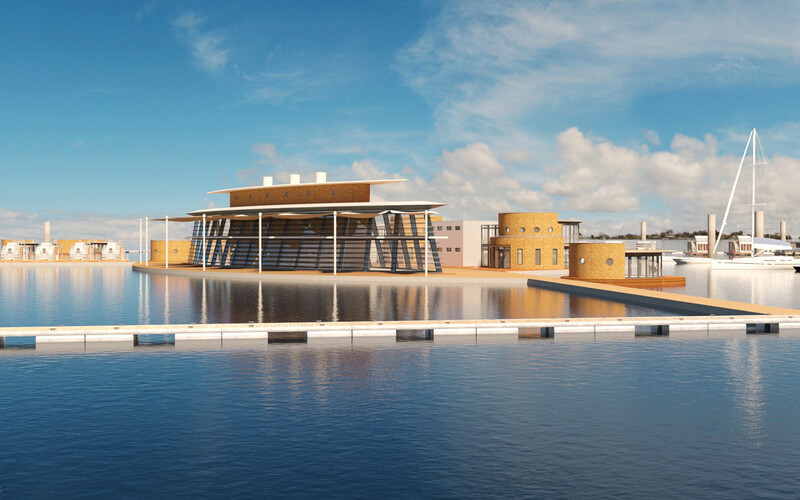 We accompany your maritime building project from the master planning through to completion, we take care of the permits and manage the complete development process - we also advise you in approval and conveyance questions. 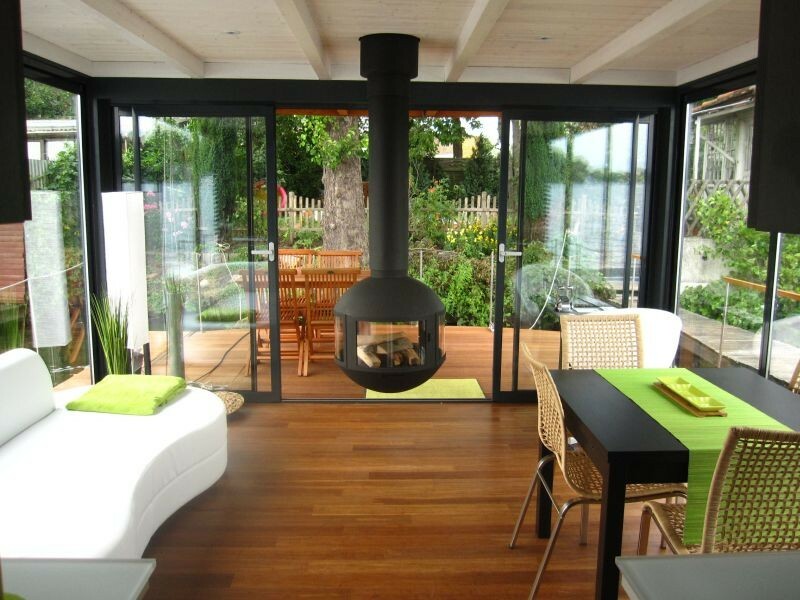 With immediate effect we also have an authorised dealer in Norway for the complete Scandinavian region. A show boat can be viewed in Oslo on request. 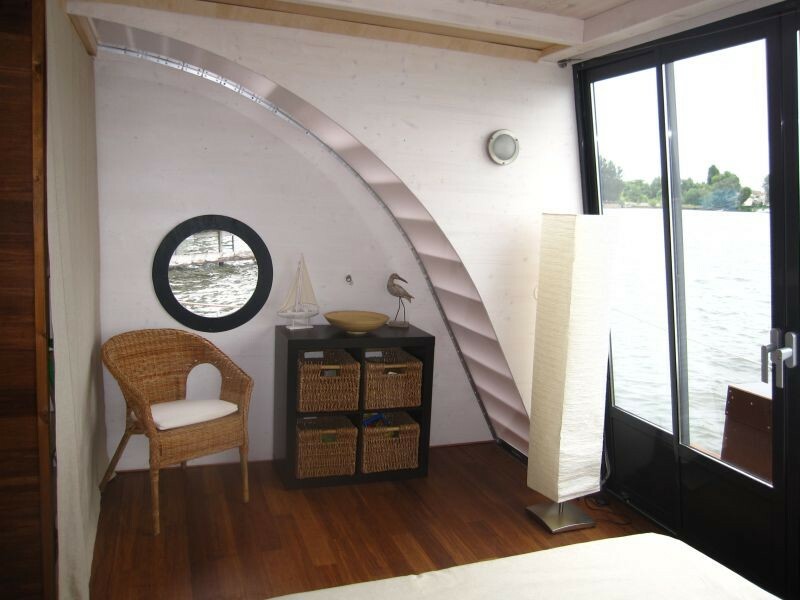 You don’t want to use your boat all the year round or you are looking for an interesting investment object? 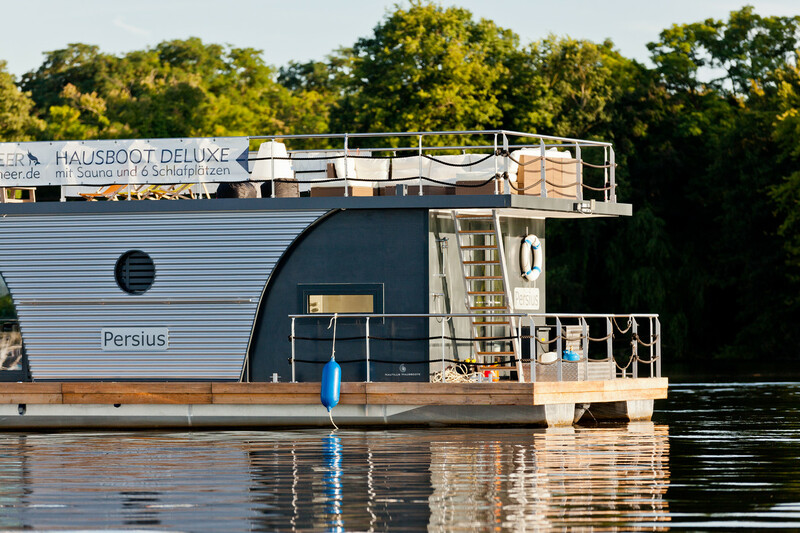 Let your “Nautino” or any other Nautilus houseboat be chartered with our assistance and benefit from the good price-performance ration between the purchase price of the boats and the charter rates. 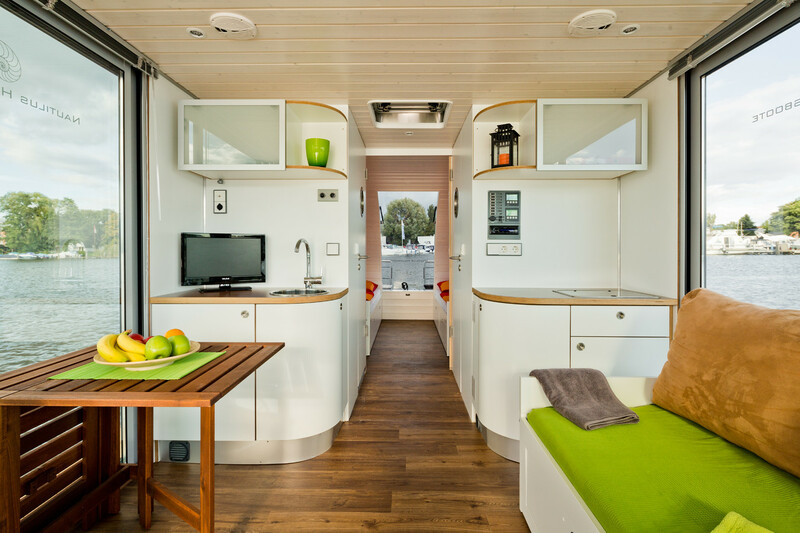 The “Nautino mini” is available for as little as 86,554.62 Euro plus statutory value added tax. 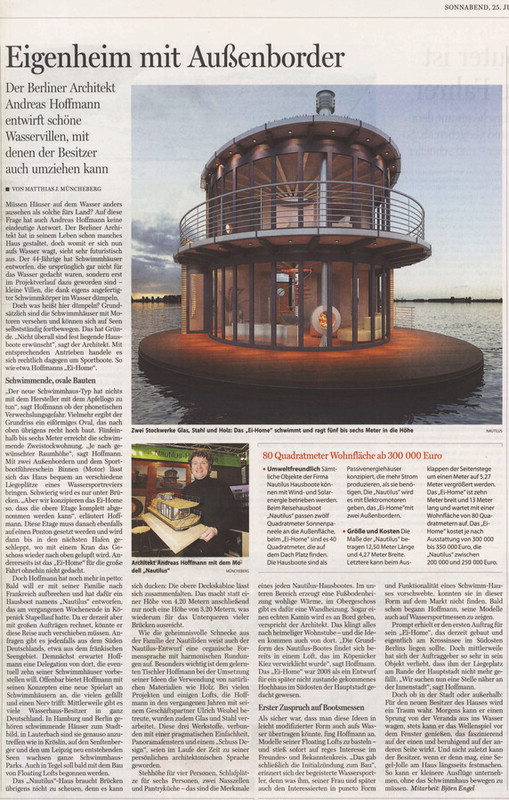 Information for investors on request from info@nautilus-hausboote.de or by telephone under 030-24355587. 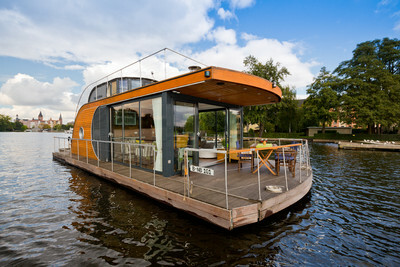 I would like to charter a houseboat! 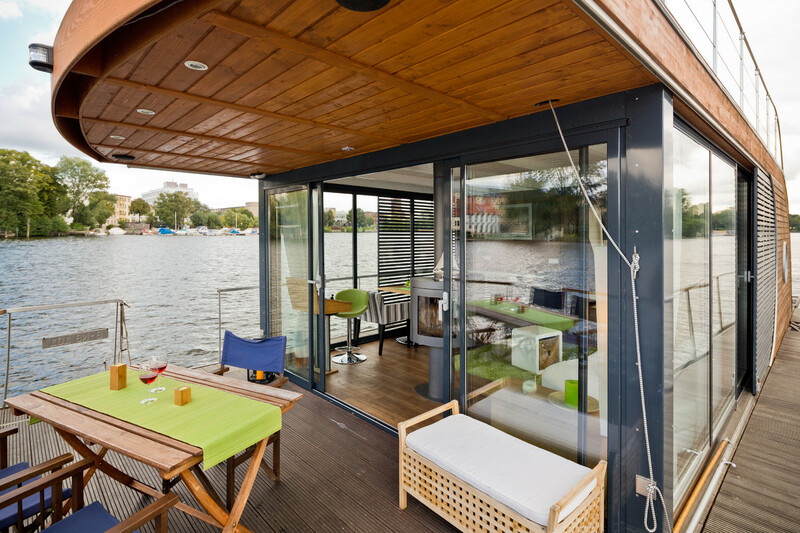 You can charter our houseboats for your holiday, or a business or private event. 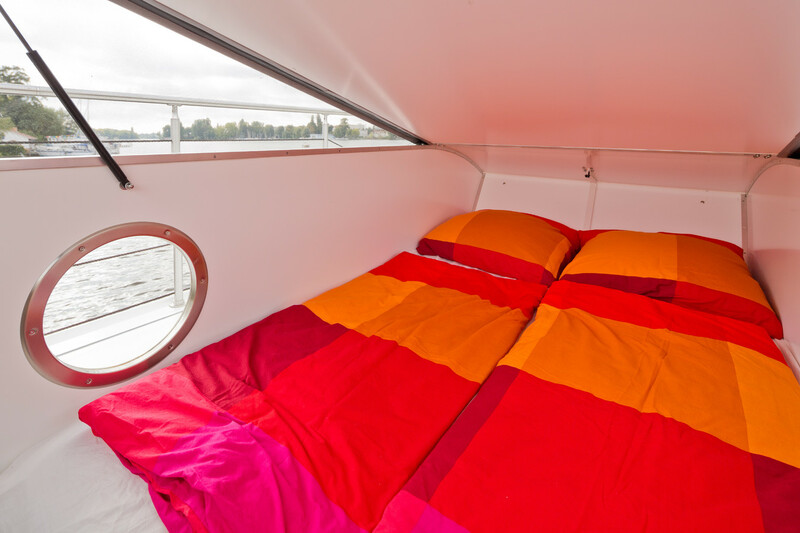 The Nautino with a length of 8.50 - 8.90m and a width of 3.60m - room and comfort for two to four persons. 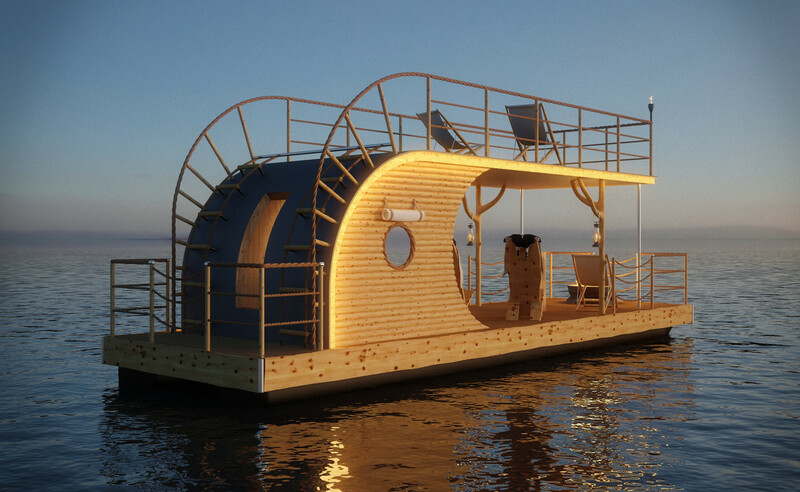 It can be used without a license. 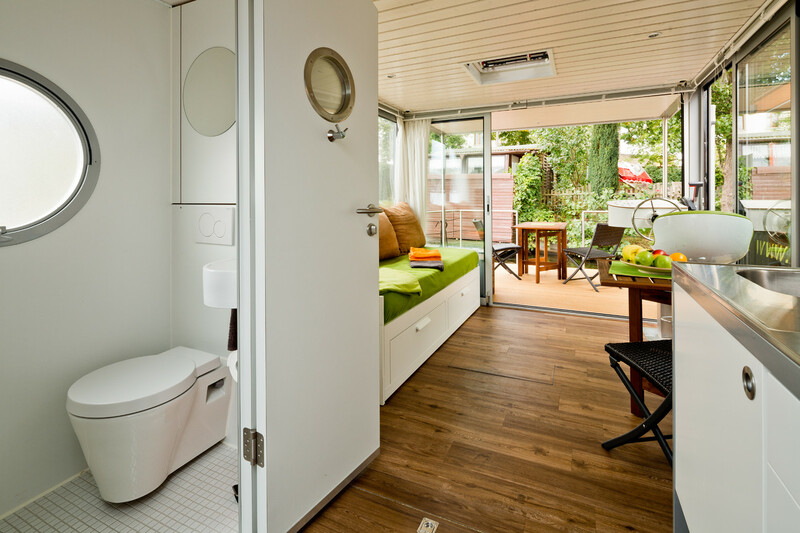 With length of up to 10.90m and a width of 3.70m the Nautino maxi is just right for large families and friends. 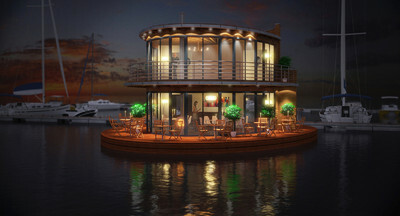 Depending on the power of the engine the boat can be used without a license or with a boating license/charter license. 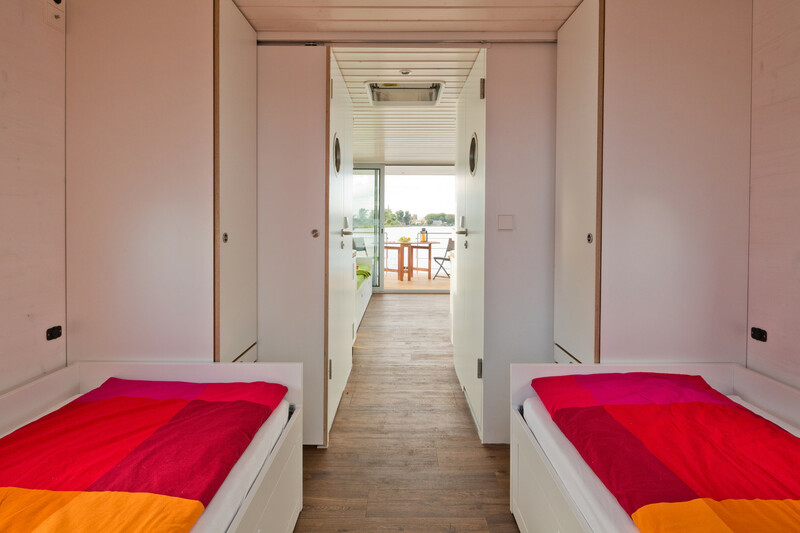 The Vagabond offers room for six to nine persons on 38m² of living area and 60m² of terraces. 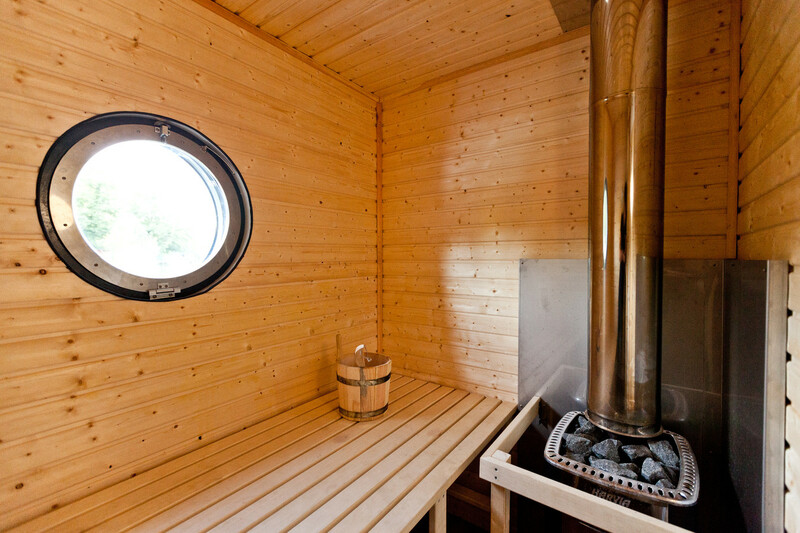 It has luxury equipment with a sauna and dishwasher, and, because of the 50 bhp motor, a license is mandatory. 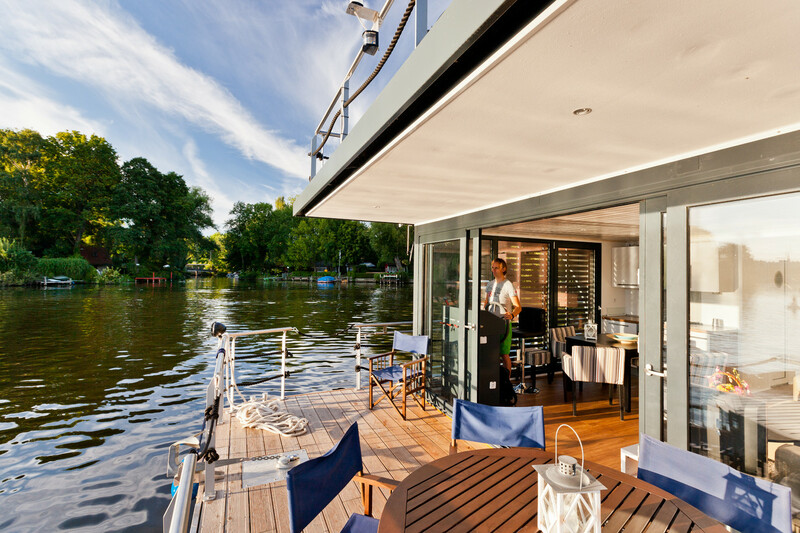 Our event boats Vagabund and Nautilus allow up to 25 guests to spend enjoyable hours on the water at private and business festivities. 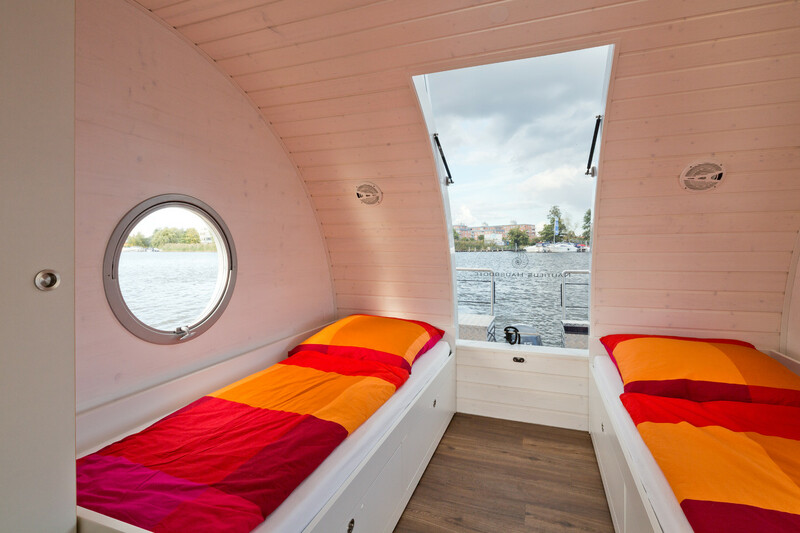 The skipper navigates safely through Berlin or the neighbouring waters. 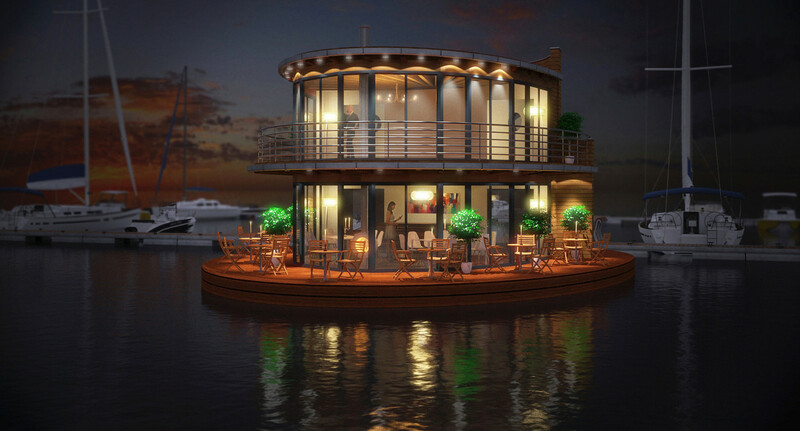 Catering and barkeeper can be booked separately. 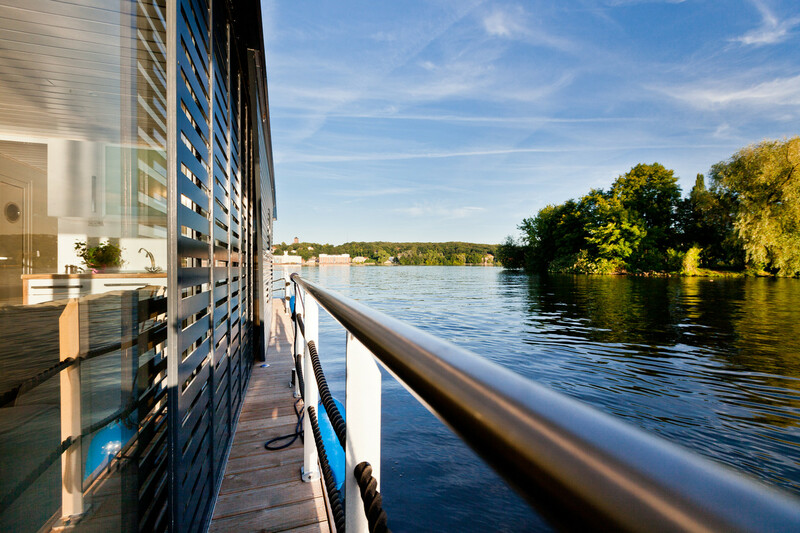 You can find our charter marinas in Grünheide on the Werlsee, in Berlin-Köpenick and on the Mecklenburg Lake District.